What is a big kahuna? Is there such thing as a little Kahuna? These questions truly are the pressing matters of our times. We have the answers. 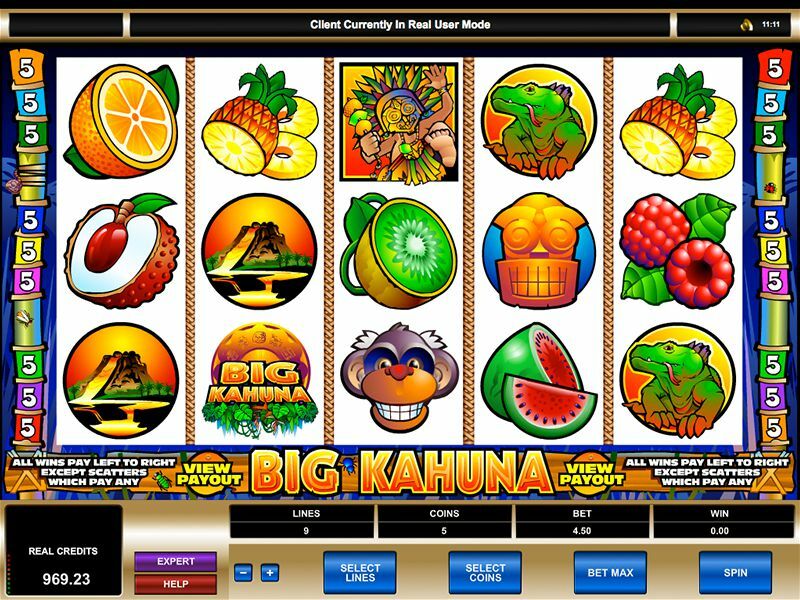 A Big Kahuna is known to be a Hawaiian shaman, and this is certainly what adds to the lovely tropical theme that we have going within this online 5 reel slot game. 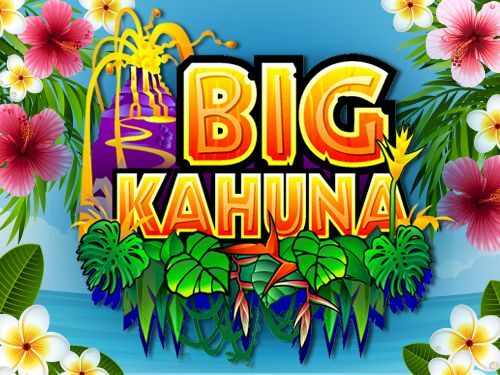 The Big Kahuna has quite a ‘90s feel about it and you will be urged to match up paylines of fruit machine fruit and kahuna wilds to earn yourself a small fortune and some great free spin bonuses. Microgaming: the record breaking game developers are here and in full swing, ready to give players the types of online experiences you never forget. With titles such as Mega Moolah, Lotsaloot and Major Millions under their belt, it’s plain to see how they have managed to create such a reputation for themselves as one of the go too developers for winning rolls. There are lots and lots more Microgaming games available on slot games. Big Kahuna, does anyone even know what a Big Kahuna is? Well silly it’s a 5 reel 9 pay-line slot from Microgaming. Because of the more open appearance of the slot, it opens itself out for a multitude of combinations across all reels. Matching 3,4, or 5 of the many symbols will give the player an increased score depending on how many you can match, it goes without saying but the more you match the higher the score. Big Kahuna is a game based on a very centric trial theme that has a max prize of around 8,000 coins should lady luck be in your corner. This online slot is a bright one so be prepared to see colours you may not have known existed. The colours play to the theme which is the main driving force in a lot of players coming to Big Kahuna in the first place. More colours we say! 45 coins per spin is the maximum bet the player can place, with the minimum sitting at around 0.5. Overall this game has a very nice 96.2% player percentage which is really good for this kind of open slot. The symbols in this game are exactly what you’d expect from a Microgaming title, they are as bold as they are unique to the world this game emits. Symbols include masks, shamans, volcanos, monkeys and iguanas. You then have the games take on some old classics: raspberries, pineapples, melons, oranges, kiwi fruits and coconuts all take a very different yet similar feel across the board. Look out for the Big Kahuna wild! Hitting this guy will pay-out a maximum of 8,000 coins, a total that is sure to equal a much higher overall pay-out. for 2. Just look out for the most colourful symbols, they will more than likely equal big things. The tribal mask, which grants pay-outs of up to 4,375, is another treasure to find (5 in a row are needed to reach this total). Other symbols have different pay-outs that are all unique to each symbol: the dancing shaman pays 500 coins for 5, 150 for 4 and finally 25 for 3. Iggy (our name for the iguana) pays the same, except only 5 credits for 2. Just look out for the most colourful symbols, they will more than likely equal big things. Take a break from slots and try our Single Deck Blackjack game.